Wyalkatchem is at the centre of Western Australia’s Wheatbelt and has a population of 523. The town is thought to have been named after the Wyalkatchem Tank which was built by sandalwood cutters in 1881. The gateways to the town are historical grain elevators that mark the regions claim to fame as” The cradle of Bulk Handling” being the very first place where bulk wheat was collected in Western Australia. The region is in some of Western Australia’s best wildflower country. The town lies on the Pioneers’ Pathway – the old Goldfields Track which was the route taken by fortune seekers making their way toward Kalgoorlie Boulder. 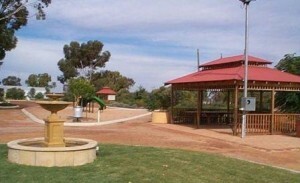 It also forms part of the Wheatbelt Way drive trail traversing the North East Wheatbelt communities. Wyalkatchem has most of the delights of a small country town. 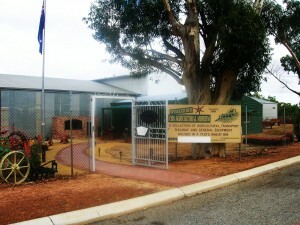 The CBH museum houses an impressive collection of early farming equipment. The Old School House Museum, set up as a house of earlier times with articles in room settings, is worth a look. Korrelocking Reserve, just out of town covers 259 hectares of pristine bushland and is a popular picnicking spot especially during wildflower season. For more information visit www.wyalkatchem.wa.gov.au.